Pack of 16 33 cm x 33 cm small square premium napkins. 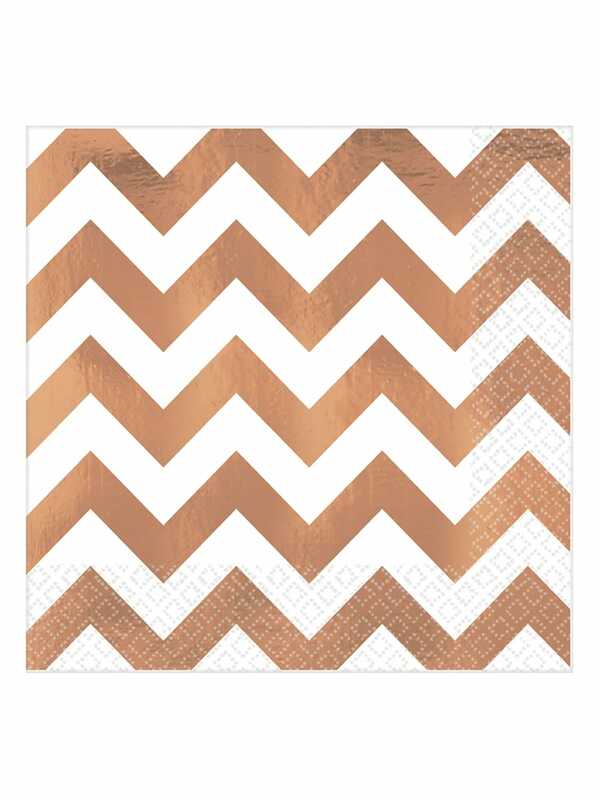 Scatter these rose gold and white chevron napkins over the table for decoration. The beautiful rose gold trend is all the range right now, WOW the girls by selecting this gorgeous colour for your party colour scheme- here at Hen Party Superstore we have a brand new range of rose gold so you can decorate the table all from one place- we also offer free delivery on orders more than £40!